How deep is too deep? The 1992 crime thriller Deep Cover examines this. 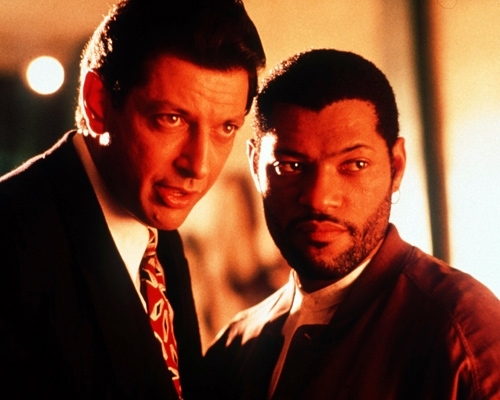 It is narrated by Laurence (then billed as Larry) Fishburne. At a young age, Russell Stevens (Fishburne) witnessed his alcoholic, drug induced father die right in front of him. He vows to never let this happen to him, and when we see him in the present day, he is a police officer in Cincinnati. He joined the force to make a difference, and while he has been successful, his superior officer Carver recommends that he take an undercover assignment. Carver has examined Russell’s profile, and he notes that the officer has a rigid moral code, resents authority, and abstains from drugs—all great characteristics for a vice cop. Despite getting into the field to stay away from this stuff, Stevens reluctantly accepts the assignment. 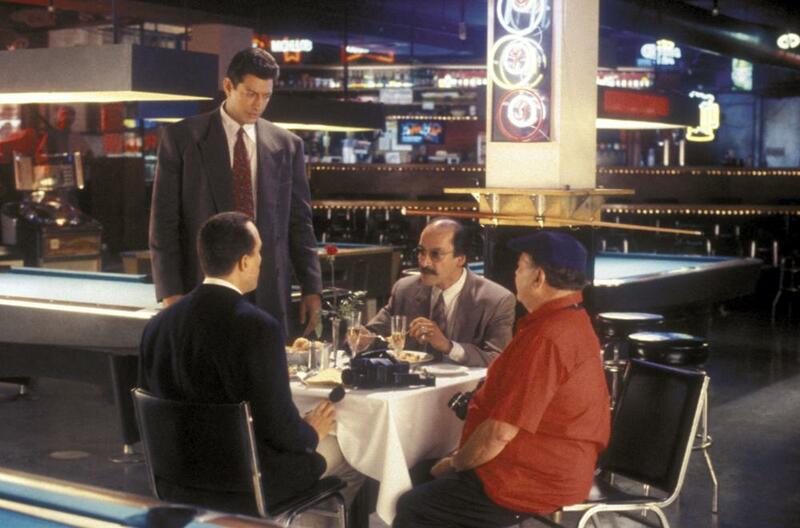 My father introduced me to Deep Cover a few years ago. He said I reminded him of Fishburne’s character of Hull/Stevens, personality-wise, and he was right. Like Stevens, I used to be sort of rigid in high school and the first year of college; I did not drink or have fun. Talk to anyone that that knew me and they would say the same thing. When I became to be a sophomore, I started living more, “playing the game” so to speak, having fun, getting drunk, and just doing what college students do. At 24 now, it has made me a better person in my eyes. While the comparison between myself and Stevens may be somewhat exaggerated, being that he was an undercover cop and I was just a college student, I really connected with his inner turmoil, as he is forced to play the game for something that may make a difference, even if he has to possibly lose himself in the process. Enough about me and back to the film. I know he has had some great roles, but I think this film is Laurence Fishburne’s finest work. To see him come to grips with who he is, what he has become, and how easy he does it is nothing short of extraordinary. We see the inner conflict, the quiet intensity, and the shades of gray in Russell Stevens. Just an amazing performance. The same can be said of Jeff Goldblum’s character in the film, David Jason. Jason is a crooked lawyer in the game who wants to make a name for himself, but lacks the fortitude to do so. To see his metamorphosis transpire over the duration of the film is captivating. Great chemistry was on display as well between the two characters, who comprise the majority of the screen time. 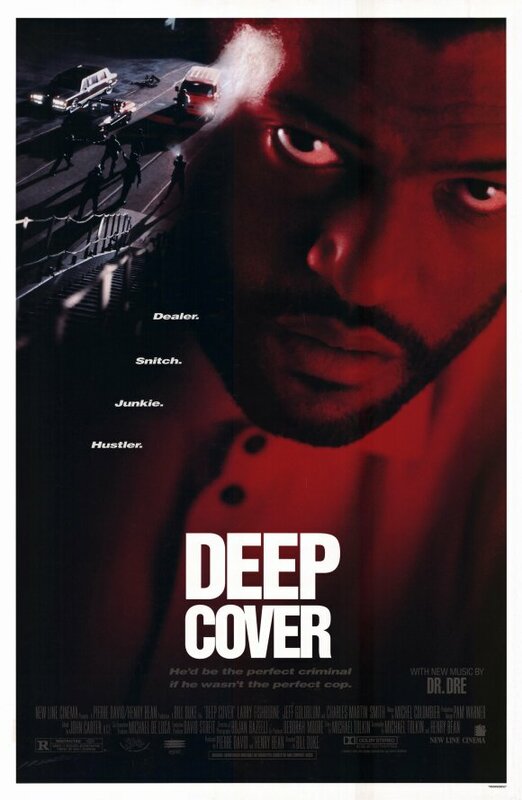 Deep Cover has a distinct feel on hand. Director Bill Duke was obviously inspired by the film noir/neo noir genre. Certain scenes are shot and cut in ways that invoke this feel. Mood lighting is used frequently, and certain staples and visual stamps of the noir genre, such as rain, voice narration, and morality among others are used most effectively. The world is very much a part of the movie, and the grit, darkness, and seediness of LA is found here. Adding to the overall feel is the soundtrack, which does bear West-Coast hip hop tracks by the boatload. It works though, and it makes sense. There are not many negatives to this film, but occasionally, I felt that one or two scenes could have been shortened. The movies is not long by any stretch of the imagination but the length of these particular scenes are a bit needless. The acting featured at the beginning is a little terrible. Luckily, it does not last any longer than 3-5 minutes. By and large, I liked the dialogue between characters. It never came off like it was trying to be too hard, but a handful lines were a bit cringe-worthy and did not mesh with the scene. Really minor stuff however. This film is vastly underrated and forgotten about. It is a lot more layered than the standard hood/cop thriller it may be thought to be if one only goes by the cover. If you enjoy films such as New Jack City, Boyz in the Hood, and Training Day, give this a watch. I personally feel that it is better than all of those mentioned. Regardless of genre, it is one of my favorite films of all time. I don’t think I have ever even heard of this. But it sounds pretty awesome. I’ll check it out at some point. Thanks for the comment. Highly recommend it.. Great pacing as well. I’ve never seen it air on TV though so DVD may be your best option.